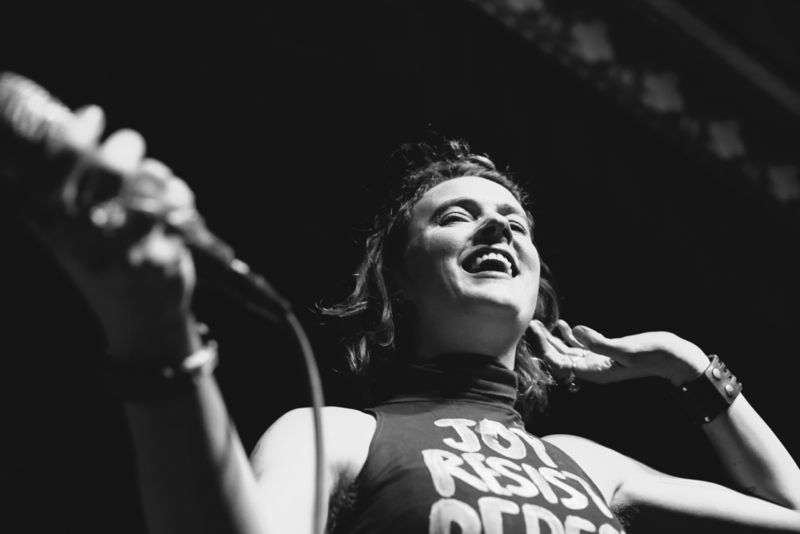 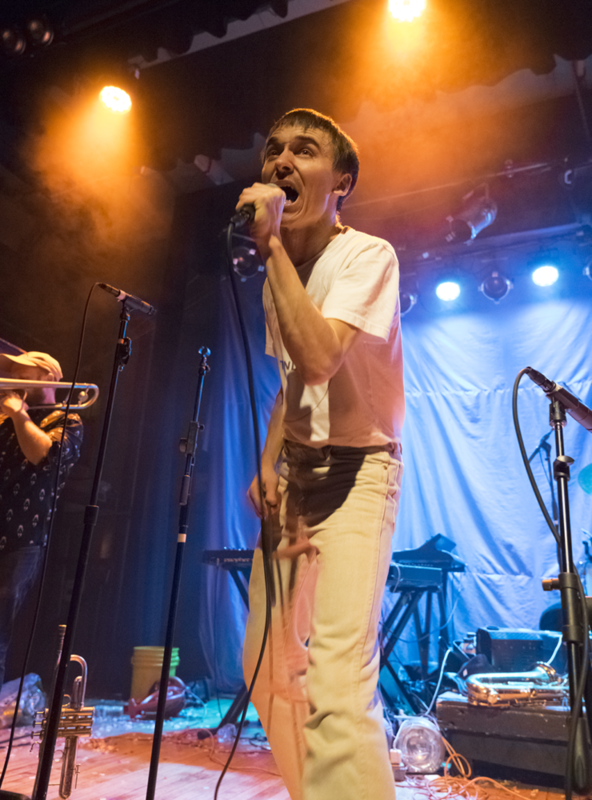 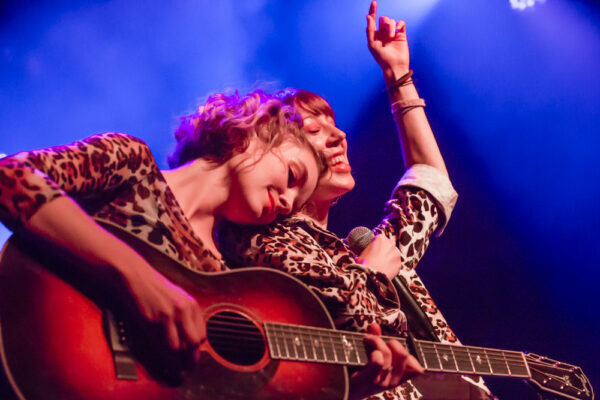 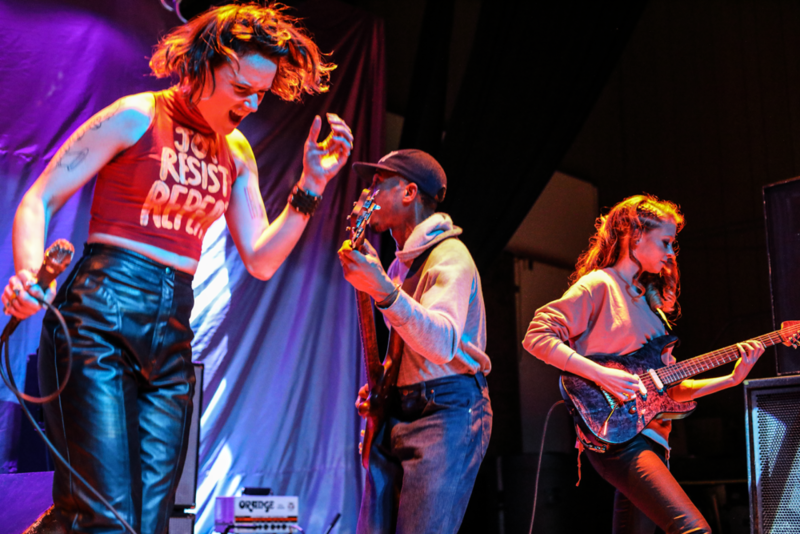 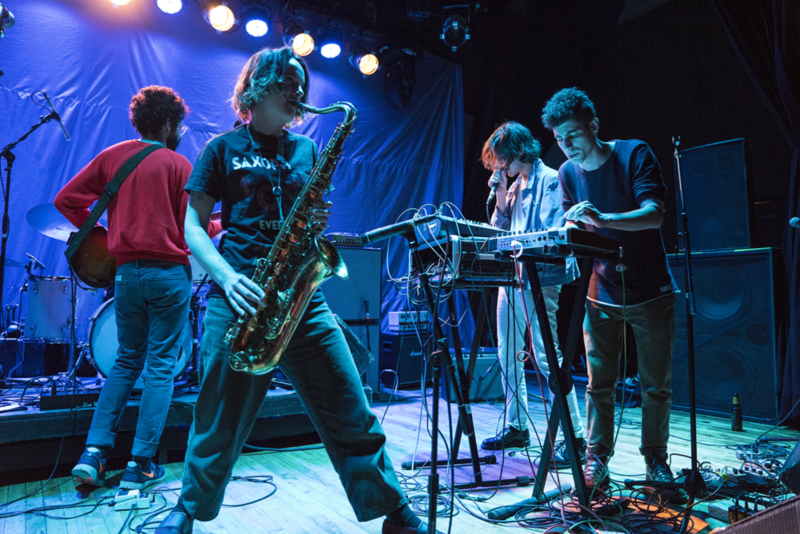 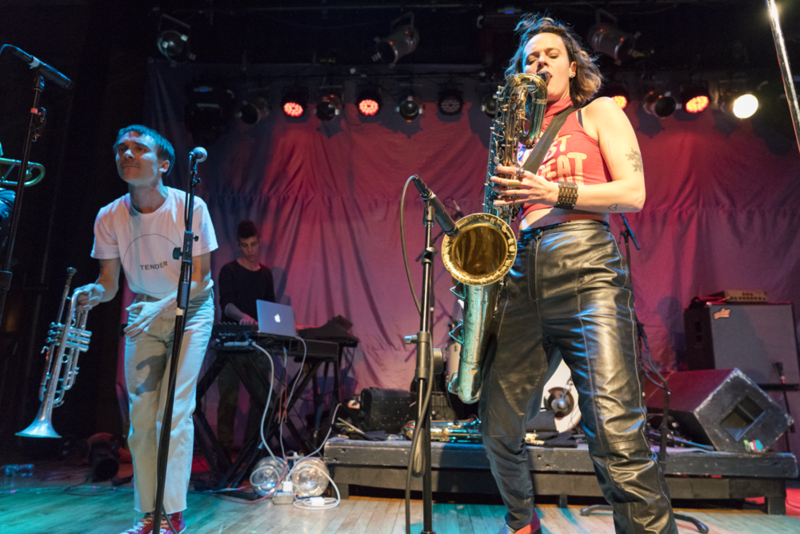 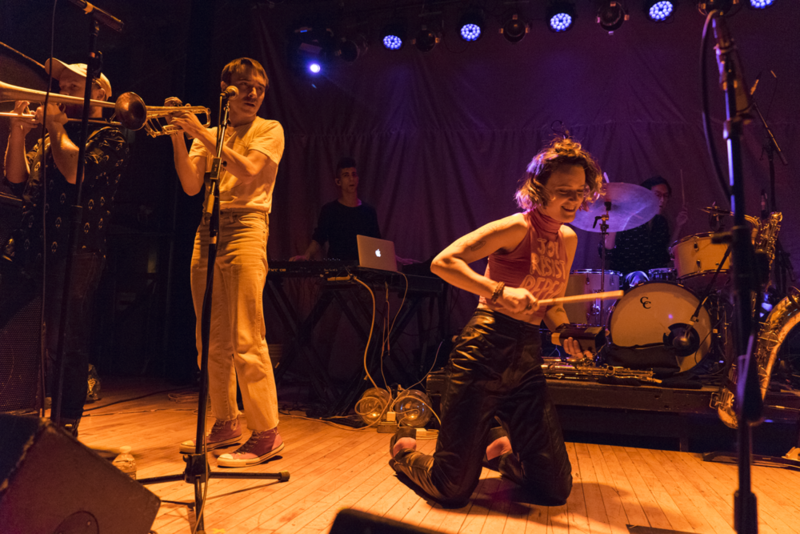 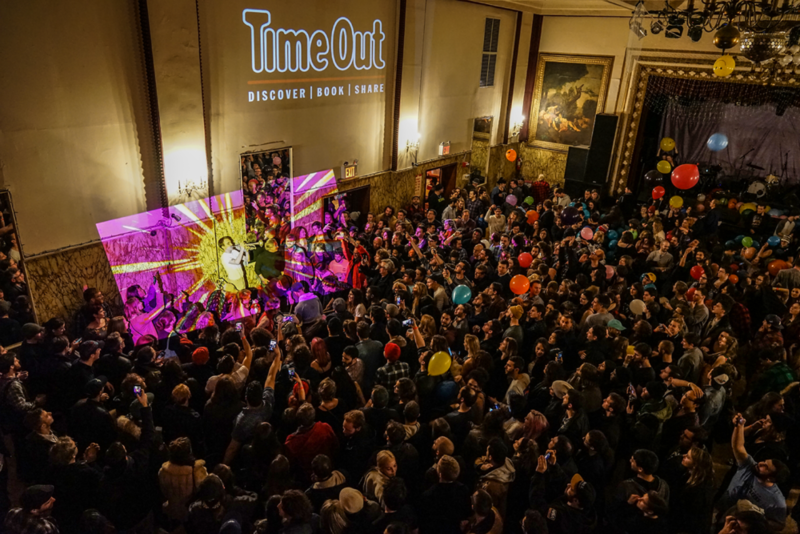 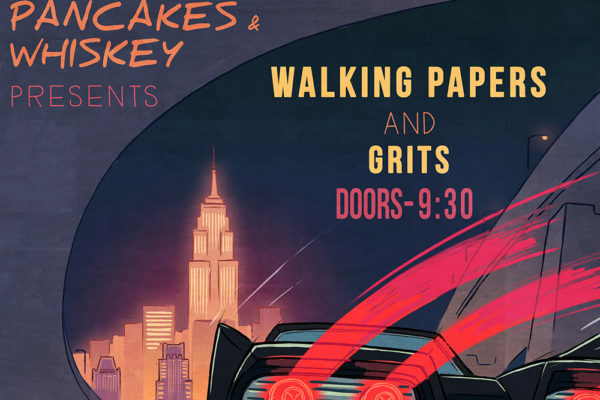 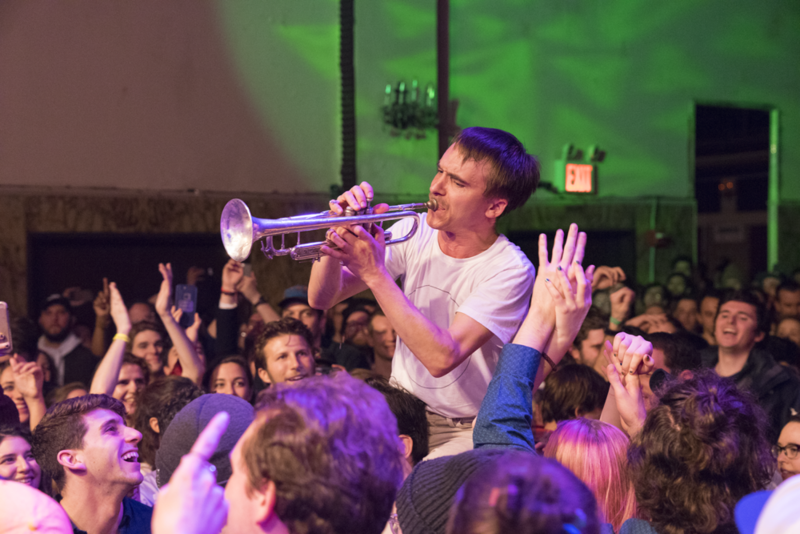 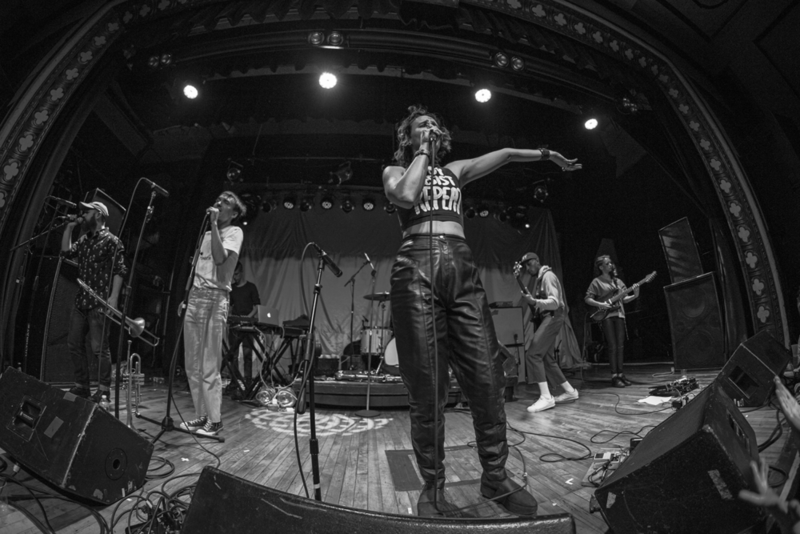 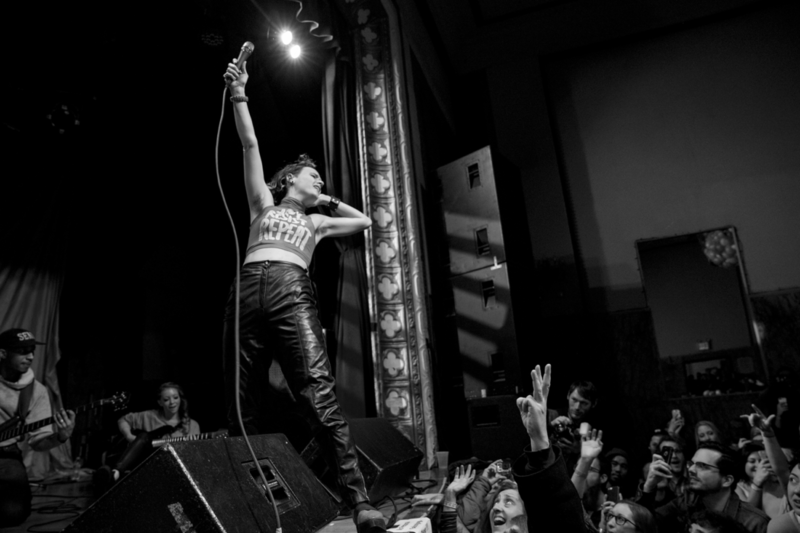 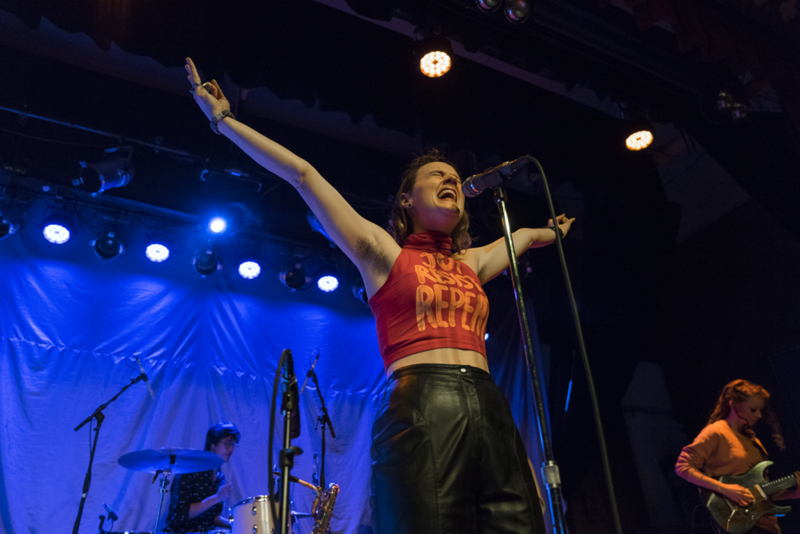 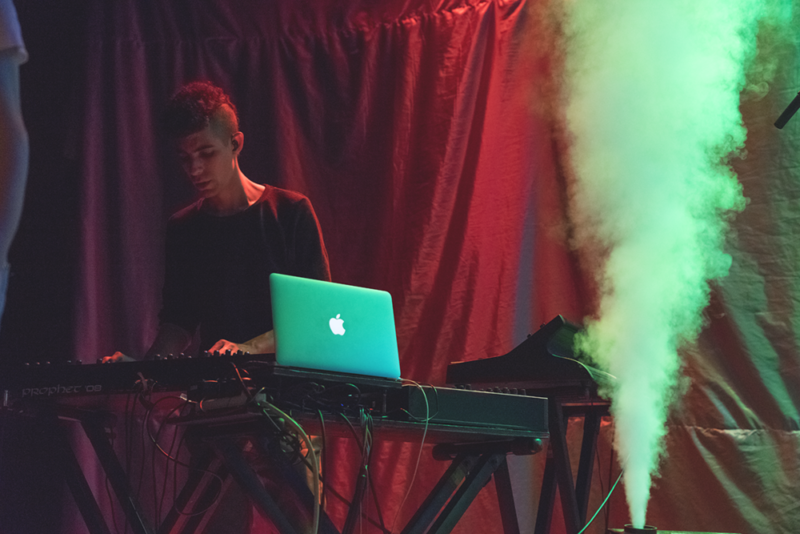 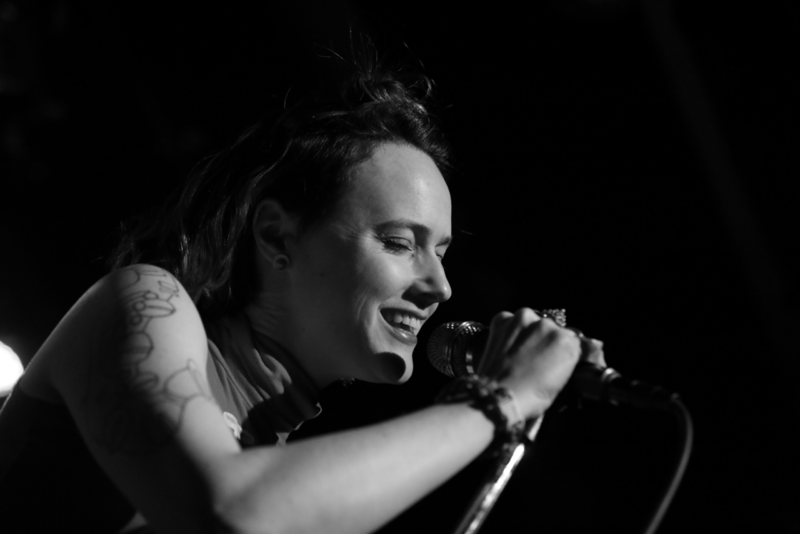 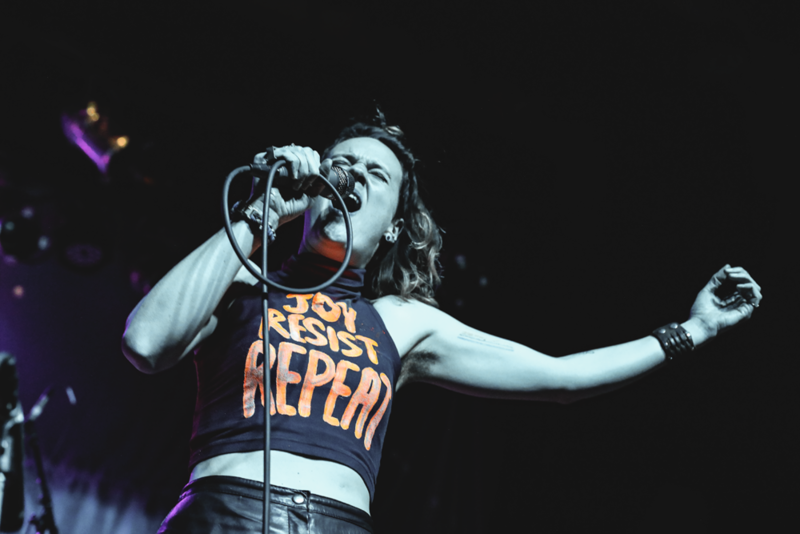 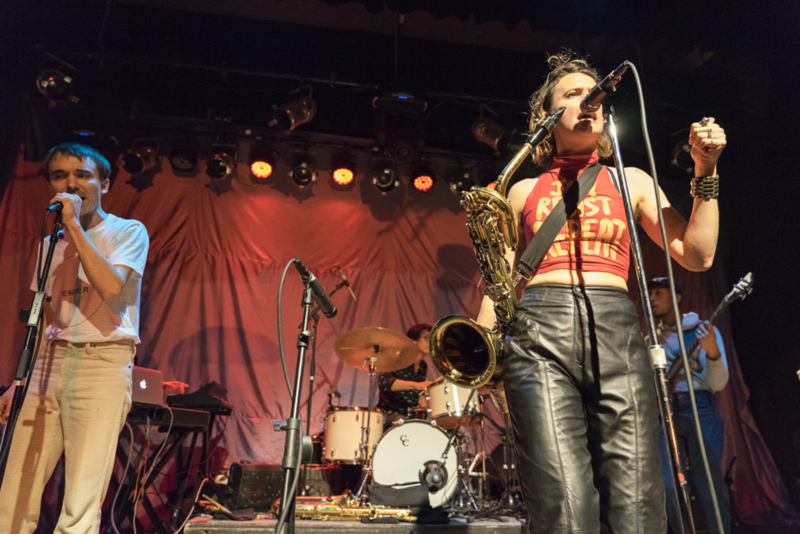 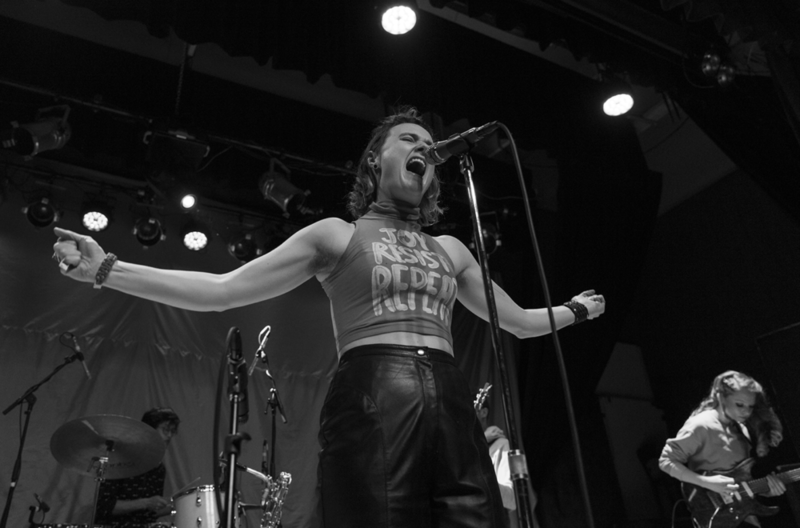 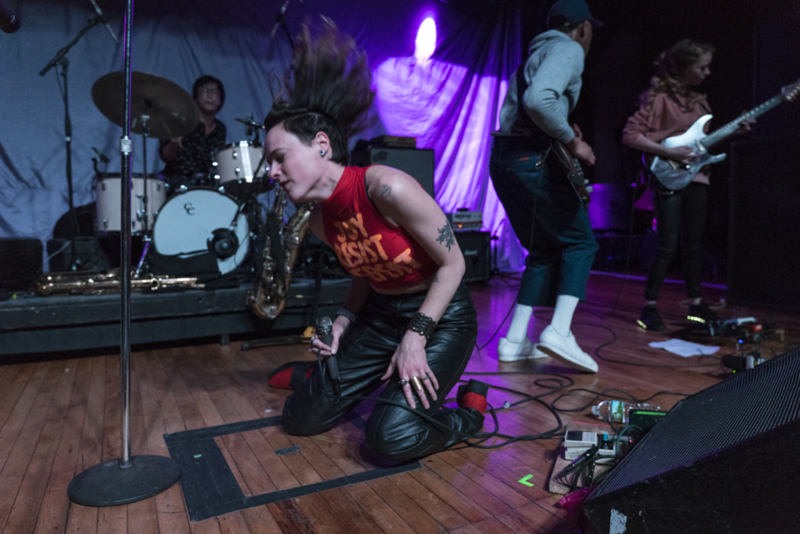 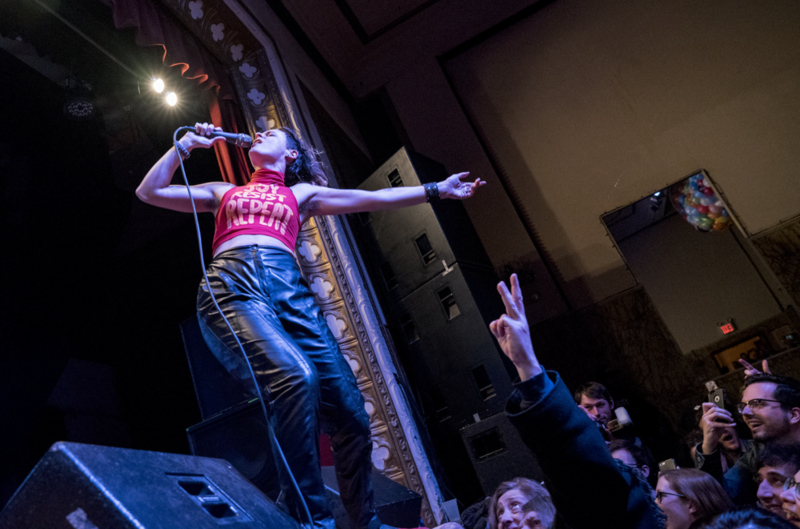 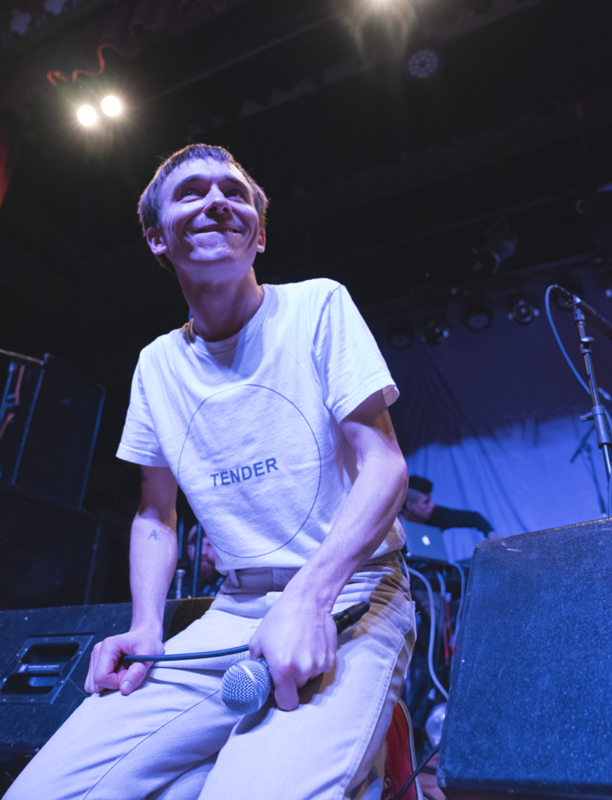 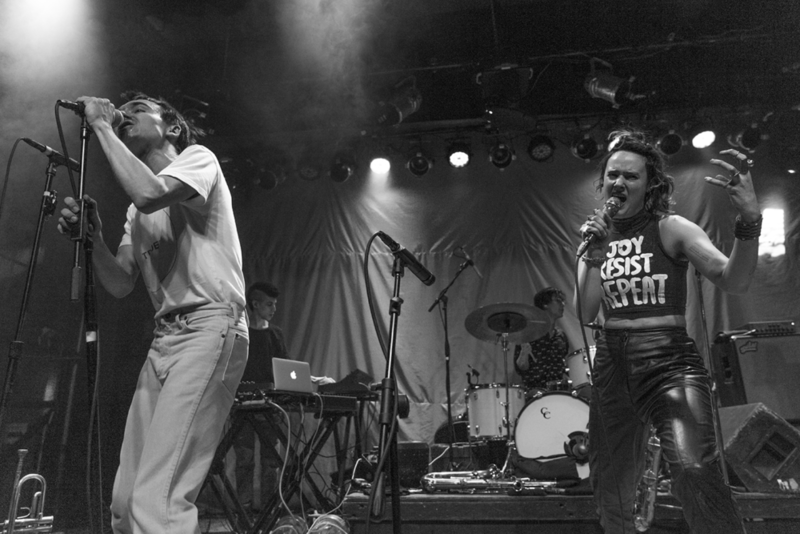 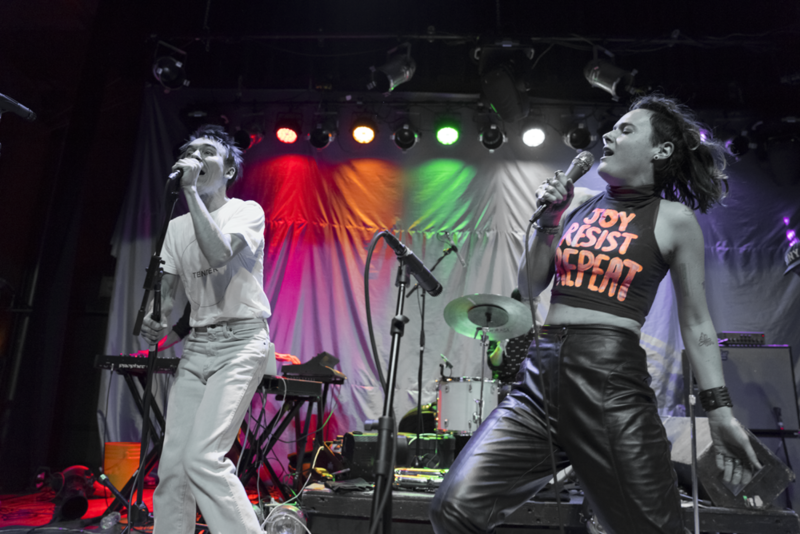 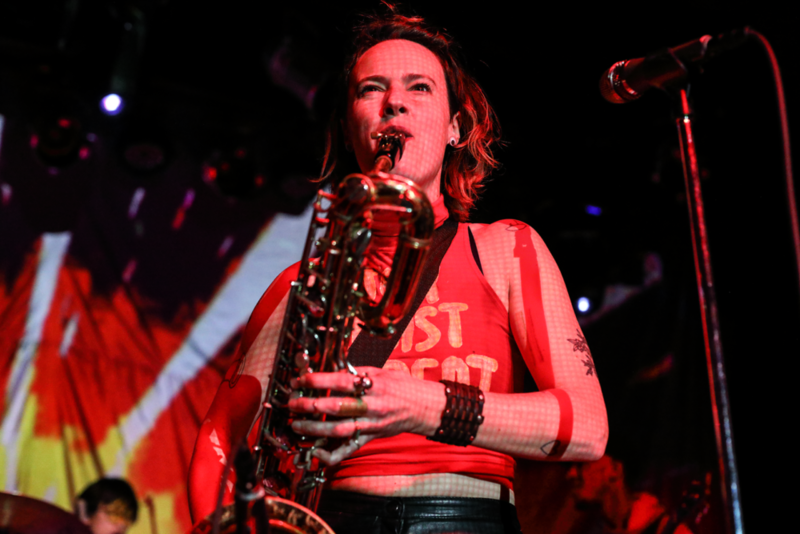 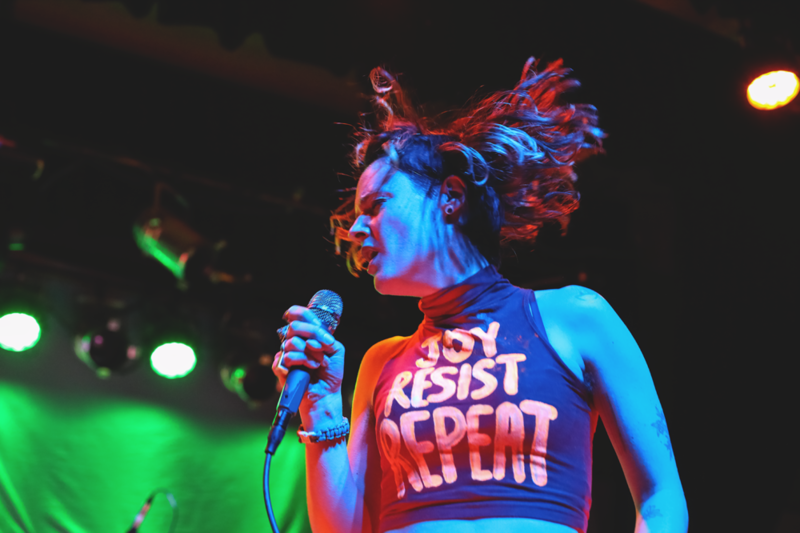 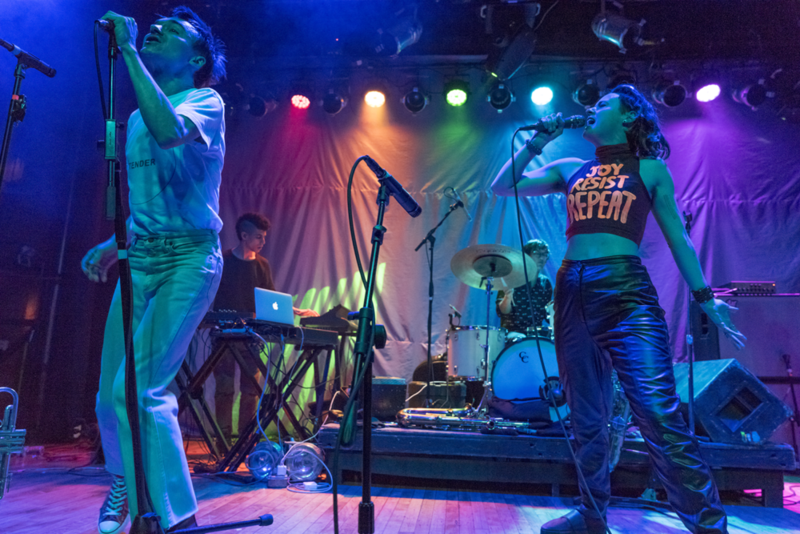 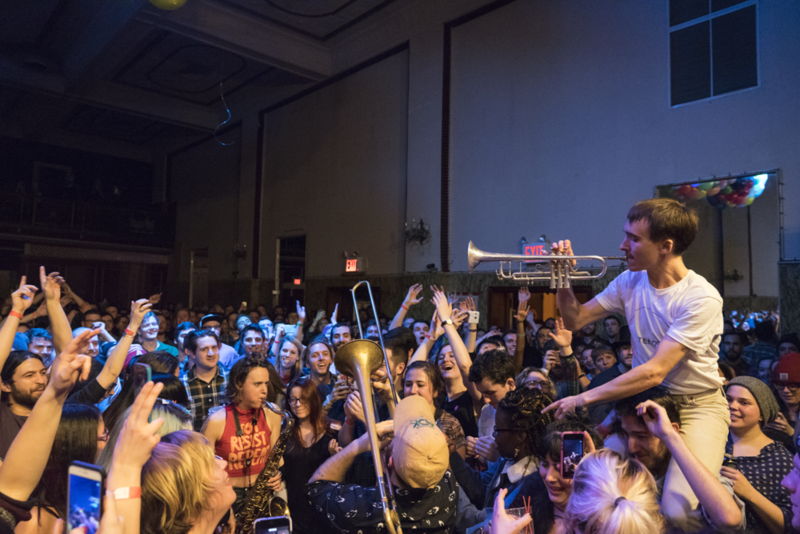 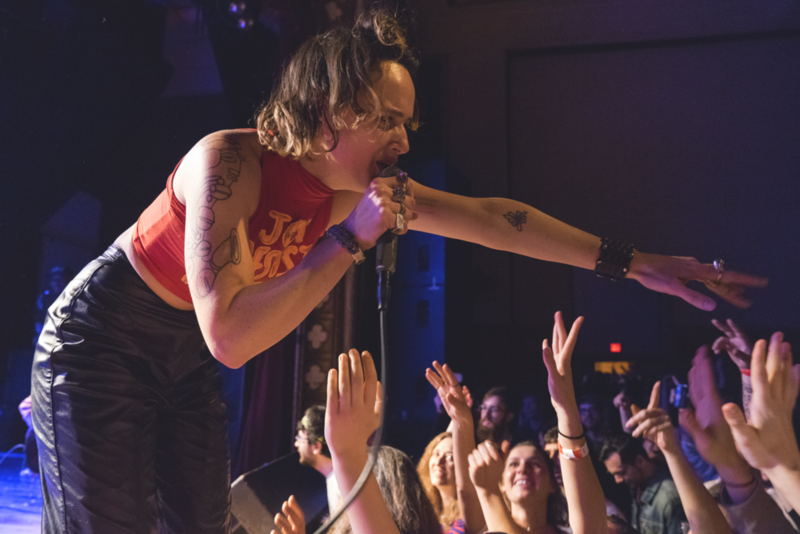 For a band like Rubblebucket, it’s important they give back; whether it’s throwing their support behind the Bushwick School For Music or like last week at Warsaw when they donated some of their proceeds to Planned Parenthood. 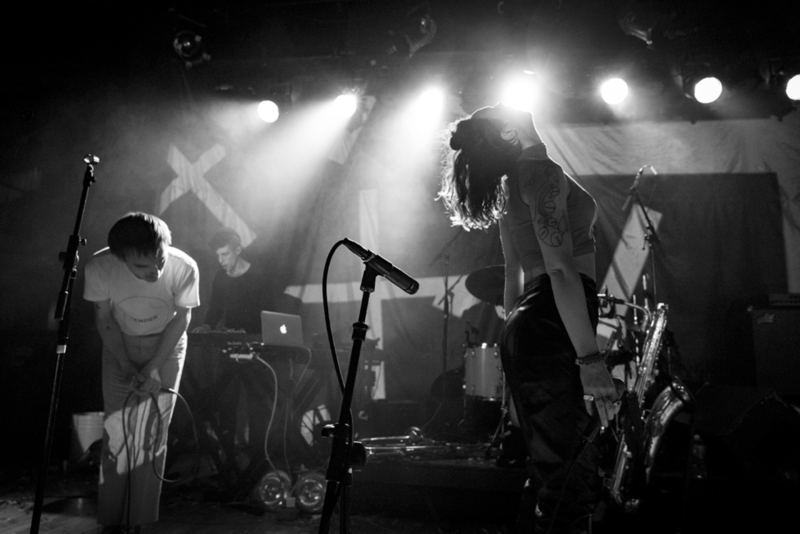 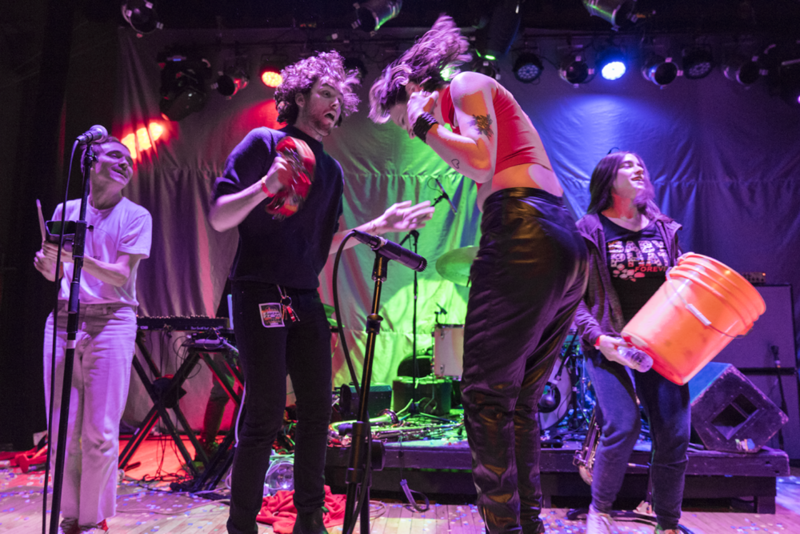 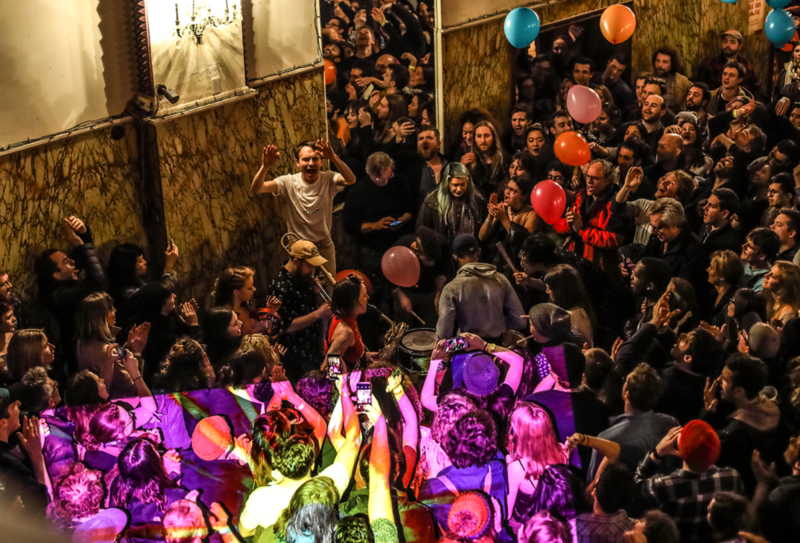 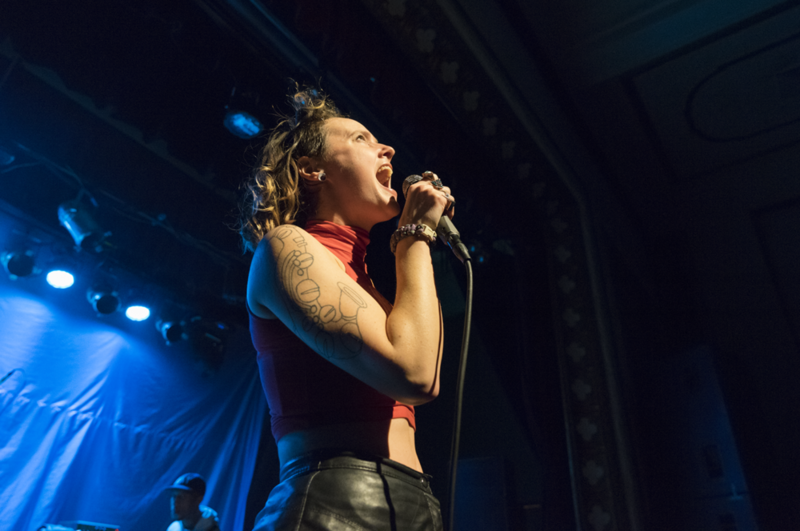 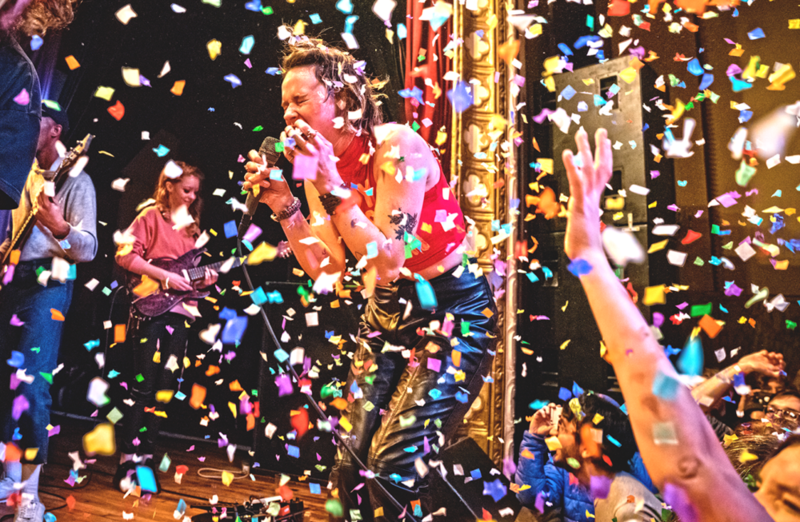 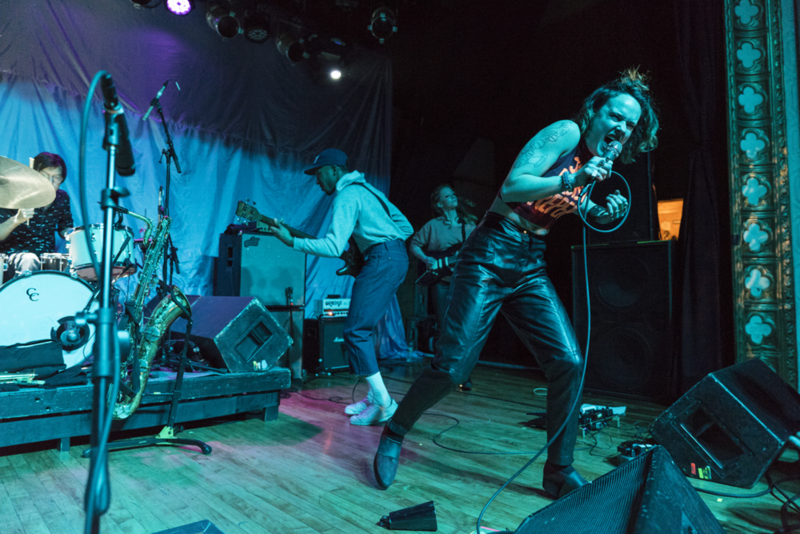 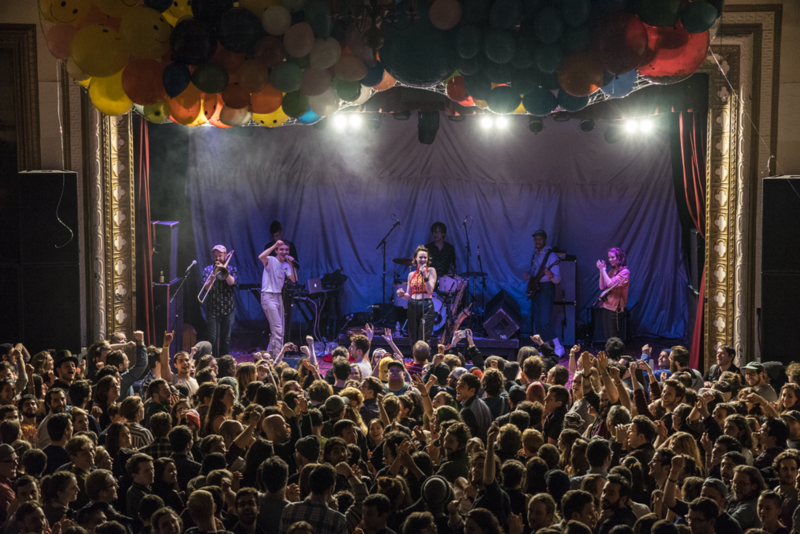 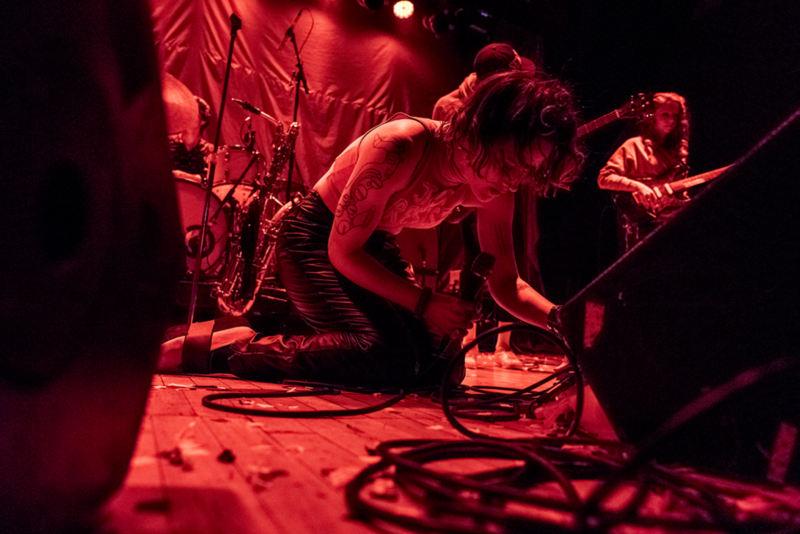 Rubblebucket’s communal spirit shines in everything they do and there’s no wondering why their fans flock to the gigs with a flurry of enthusiasm and love. 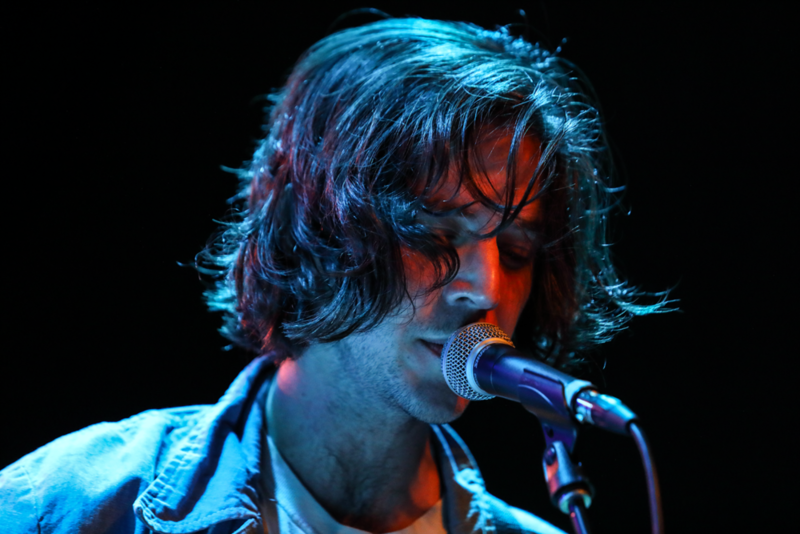 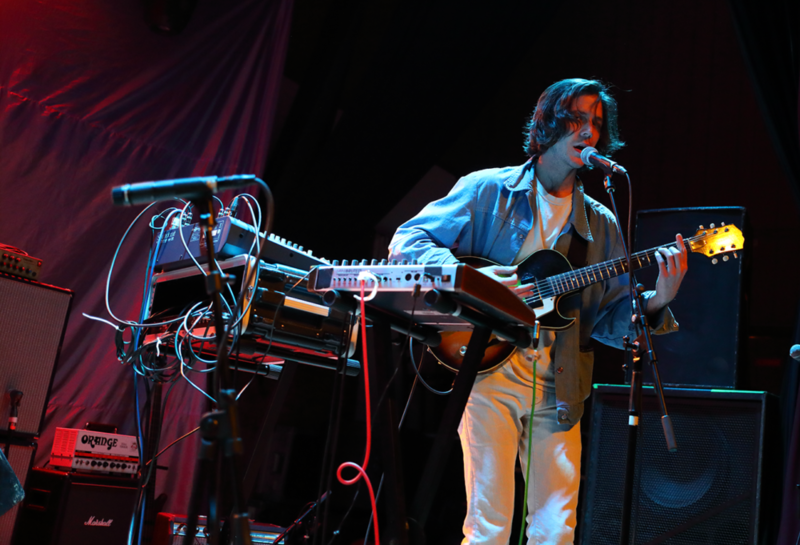 Starting the night to a nearly full room was Sam Evian, who despite some technical difficulties with faulty aux cords, showed why they are a hot opening act right now having opened for Whitney, Lucius and more recently. 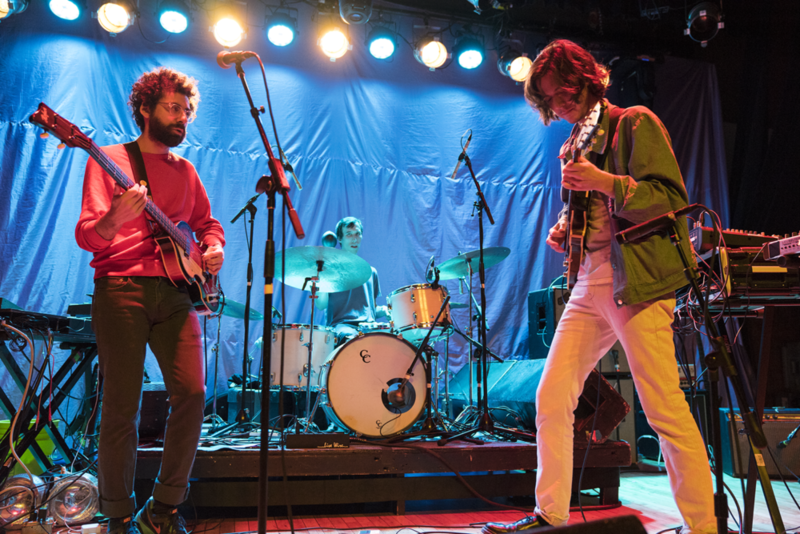 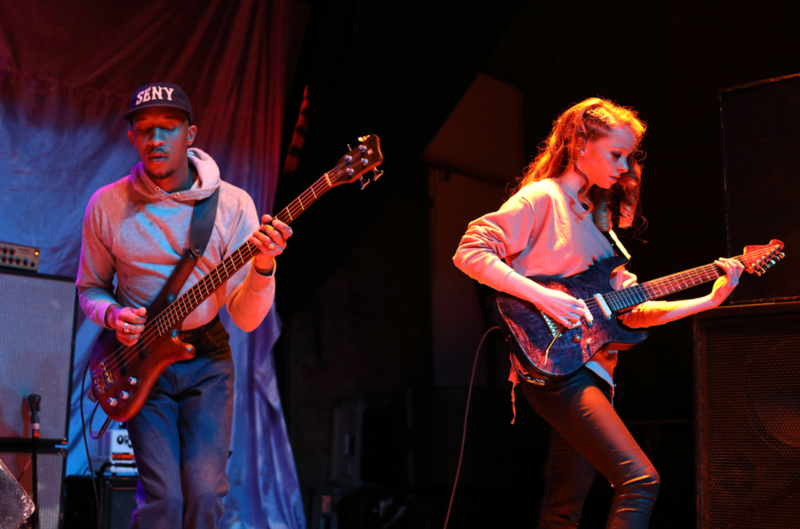 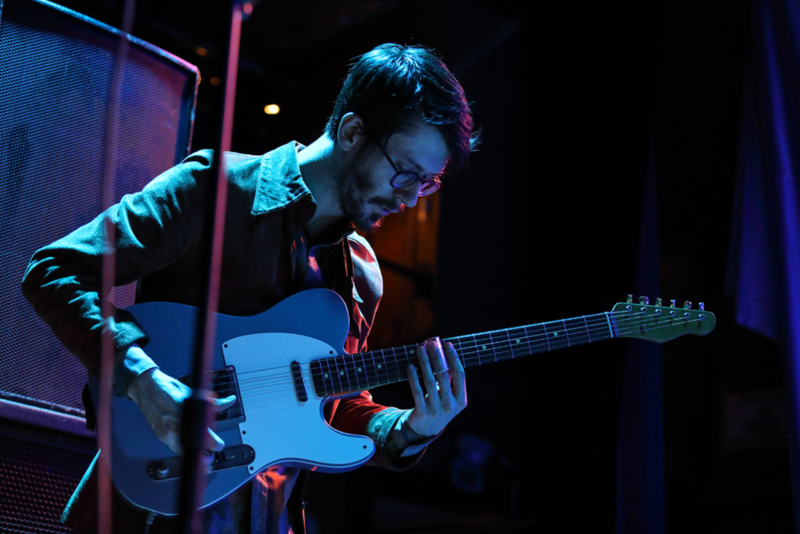 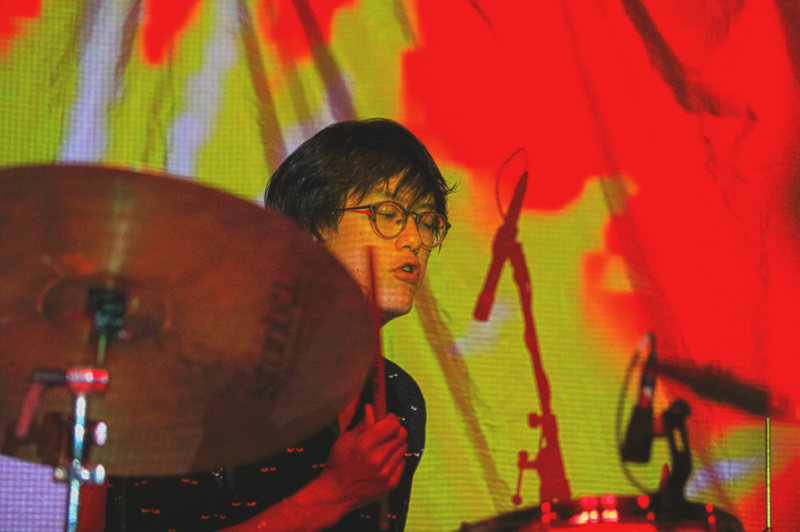 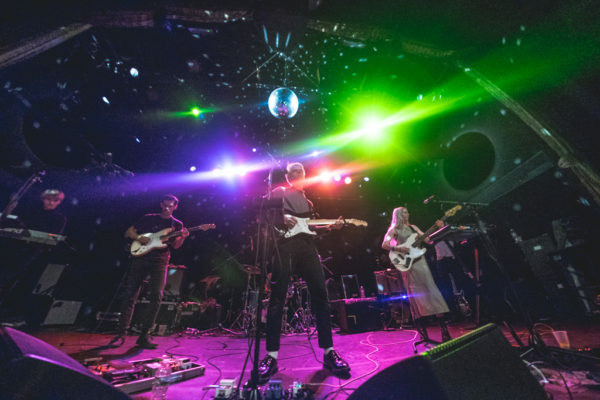 Their lush, spacy sound filled the venue with odd time-signatures and a guitar that wouldn’t quit for the 40 minute set. 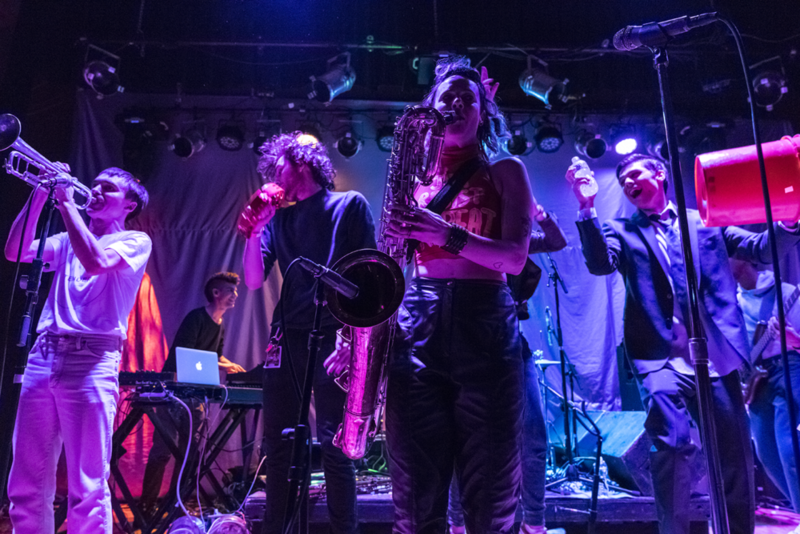 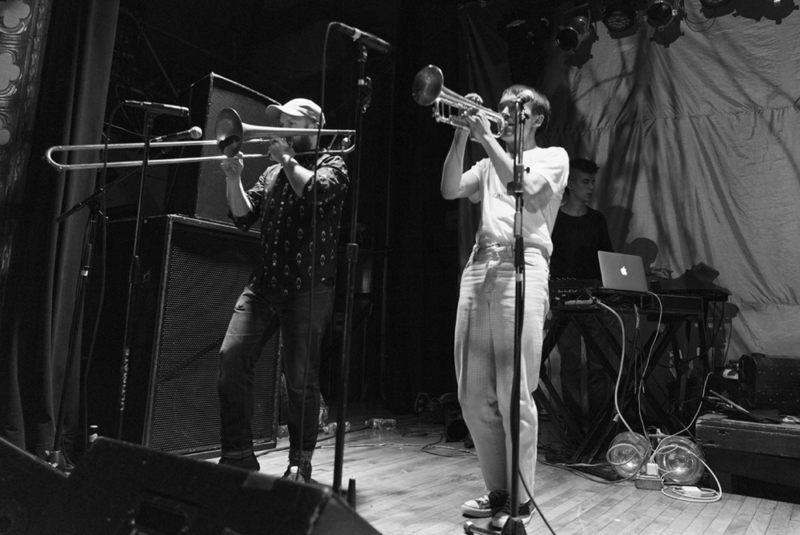 Members of Rubblebucket joined them for their last song, which ended in an impressive horn filled jam. 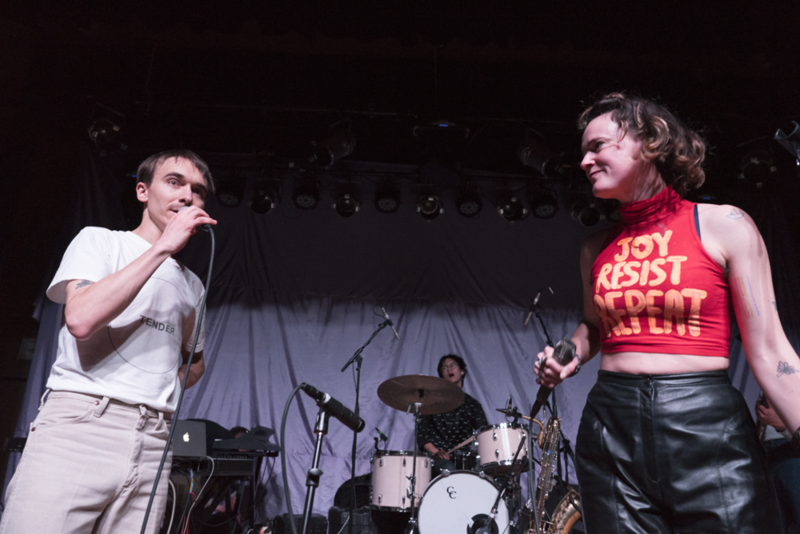 After a quick turnaround, Rubblebucket took to the stage with a mission to make us dance and to forget our worries – whether it be a misogynist president making up rules as he goes along – or the fact that said “president” plans on cutting all funds to the essential healthcare service that is Planned Parenthood – who provides affordable contraception, cancer screenings, pap smears and STD testing for low income humans. 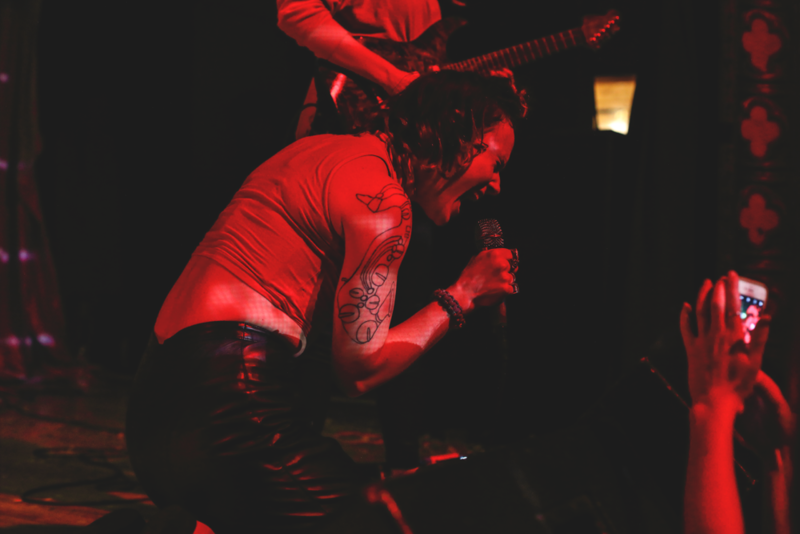 Not messing around they played some new stuff off If U C My Enemies, which was incredibly solid material that had the packed hall dancing away like they knew the songs for years. 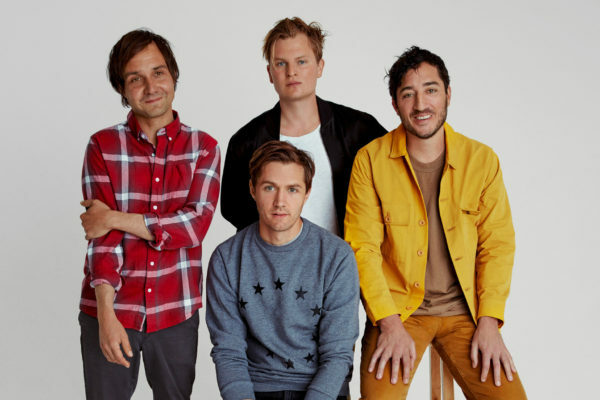 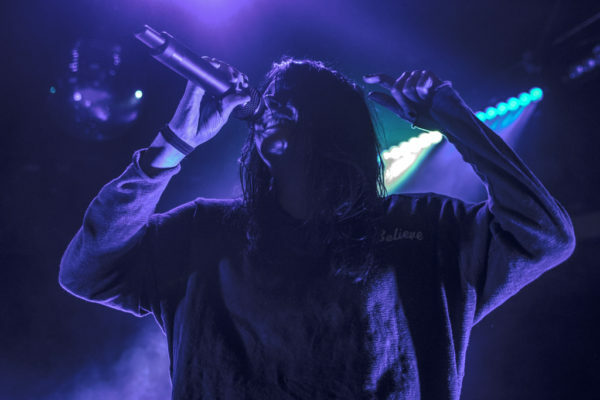 The new material sounded more edgy than in past albums, most likely due to the current atmosphere that we live in, but that’s just a guess. 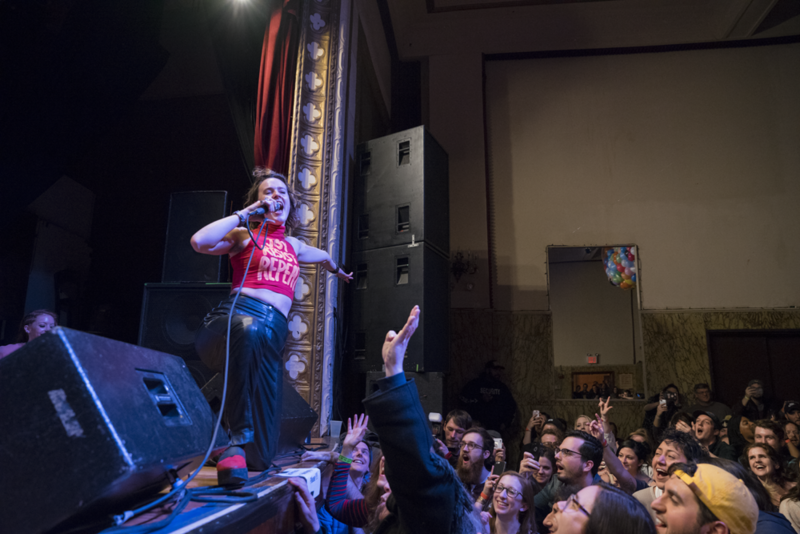 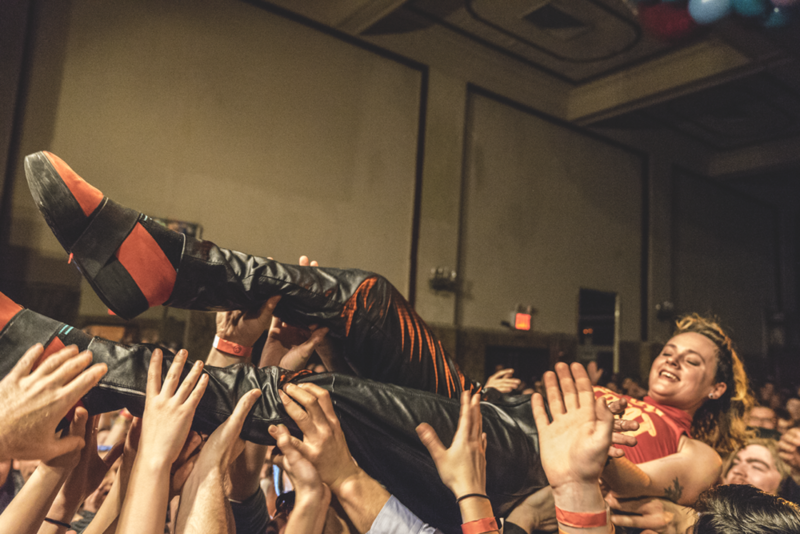 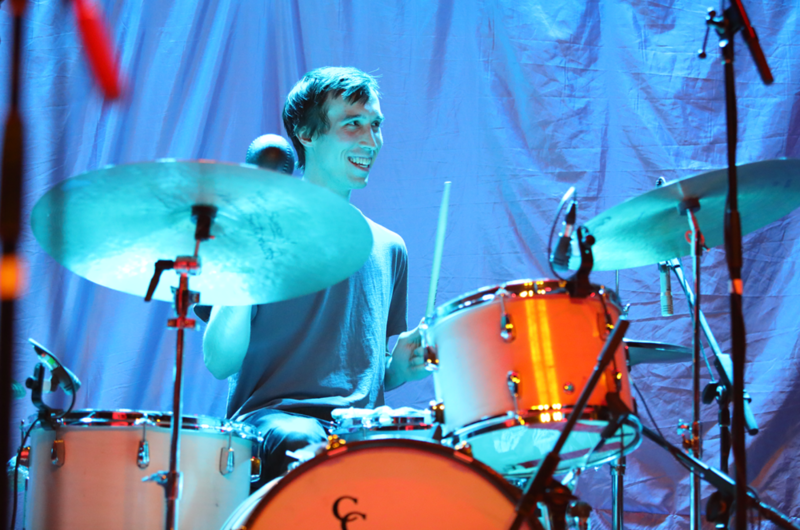 While the new songs were a bit heavier, they had no less of a party affect on the swirling and smiling crowd. 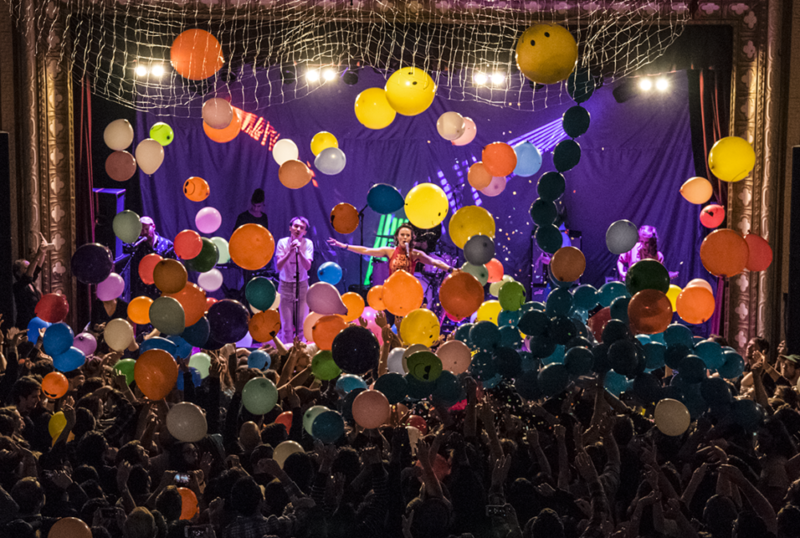 Halfway through the show the “hits” came one right after another and with “Carousel Ride,” “My Life,” and “Came Out Of A Lady,” the crowd was at its boiling point. 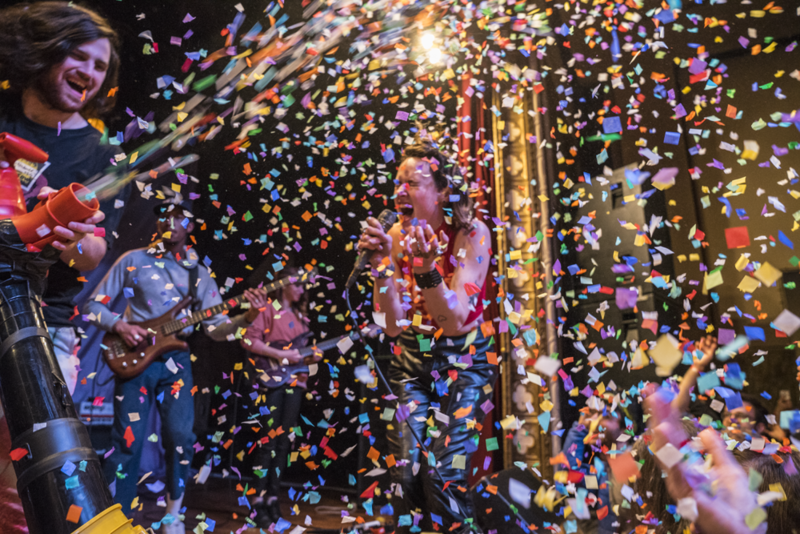 The confetti cannon would ignite an even more furious energy and then doubled when the band ventured into the crowd via shoulders and crowd surfing. 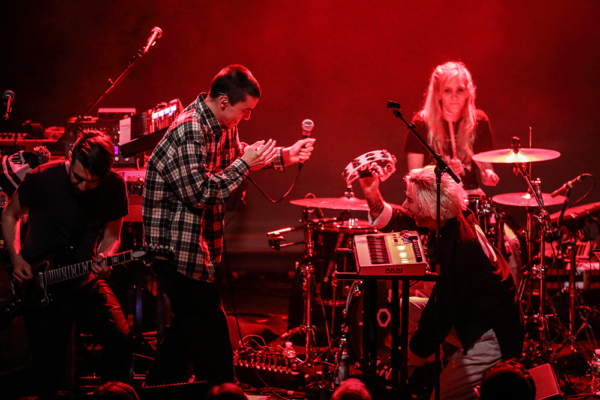 Near the end of the show the band invited some enthusiastic folks from the crowd to get on stage and celebrate. 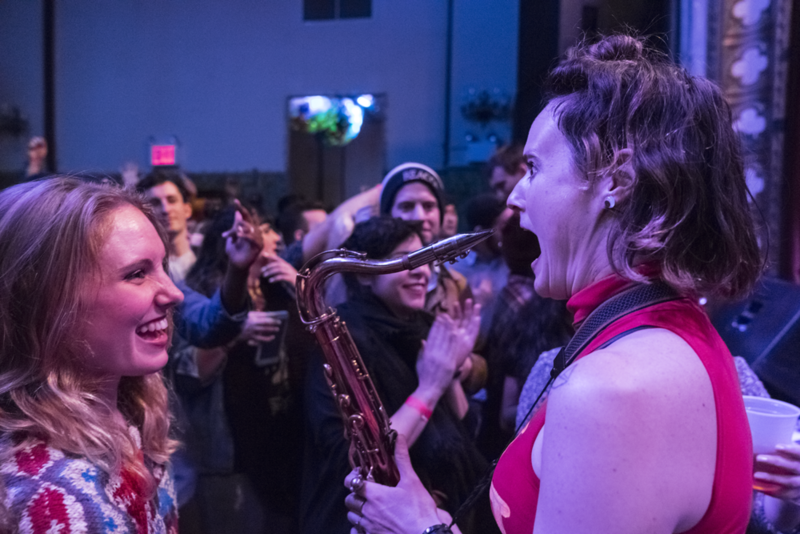 It was a treat to see the happiness it provided everybody while the band raged with pure joy and elation. 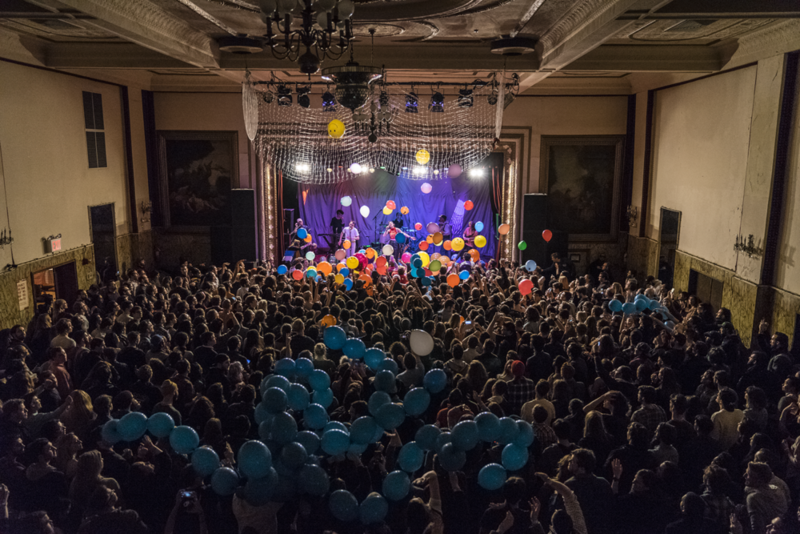 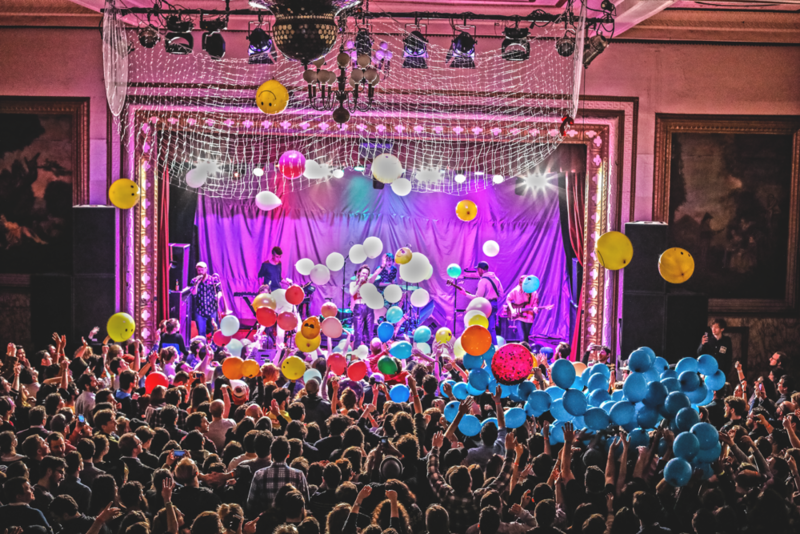 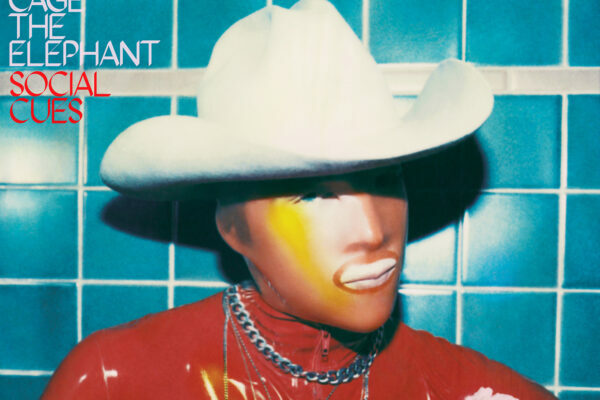 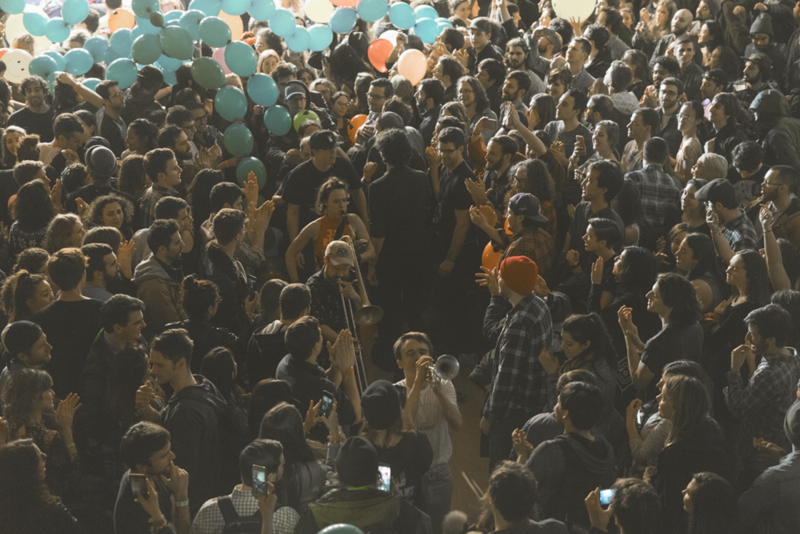 The show would end with a bevy of balloons dropping from the ceiling and the band taking their horns and percussion to the far corner of the friendly venue for a tribal jam for the ages as the audience clapped and hollered along.